Austin’s famous SXSW festival may have just ended its 2016 edition, but the food cravings it inspires linger year-round. Those who love Tex-Mex know that it’s more than generic gringo-fied Mexican food. Tex-Mex can mean a lot of things; at its best, it’s interior-rooted foods flecked with Creole-influenced roux and umami-packed ingredients like mature cheeses, roasted tomatoes, and smoked beef. It’s not always synonymous with margaritas and tacos, but it sure as hell can be. 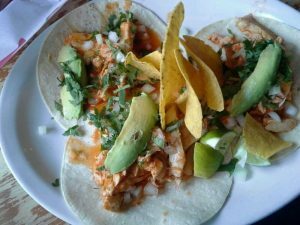 Whether choosing a spot based on your personal style or rambling along and cherry-picking the best qualities of each, here are the top places to satiate your Tex-Mex needs in Seattle. El Chupacabra sometimes veers toward Baja- and Mission-style Mexican, but it also offers specific Tex-style options like huevos rancheros and “TexMex Tacos,” soft tacos made with flour rather than corn. Plus, you can Michelada any beer for an extra $1.50, and there are tostadas you can actually eat like tostadas, rather than with fork and knife. The Alki location is great, but the Greenwood flagship and South Lake Union outpost get extra points for sunny outdoor seating.